With the different card brands and companies here in the Philippines, there are some who see the hard work of our overseas Filipino workers (OFWs). One way of them showing appreciation and respect to our OFWs, Isuzu Philippines Corporation (IPC) launched the “Isuzu Kababayan Promo.” In this article, we will discuss what the promotion is and how it can help OFWs in purchasing vehicles here in the Philippines. What is the Isuzu Kababayan Promo or the OFW discount? This promotion, which is open to all OFWs, is kind of the appreciation promotion that Isuzu gives our hardworking OFWs and Isuzu loyal customers. The Isuzu Kababayan promotion will be honored and known at all Isuzu dealers all over the country. Both OFWs and families of OFWs (who can provide proof that a family member is an OFW) can avail of this promotion; the process is easy, you don’t have to go through complex things and processes to avail the promo. What is the process of availing the Isuzu Kababayan program? Since this promotion is honored and known all over the country, the buyer would just have to go to the nearest authorized Isuzu branch/dealership from his/her location. Once there, they need to inform the Sales Executive that they’re an OFW or that they have a family member who is an OFW. From there, the Sales Executive would already know what they need to do to accommodate your request. How much would the Isuzu Kababayan program OFW discount be? All applicants who will be qualified will be given a cash discount of Php20, 000.00. The buyer has the option to convert these discounts to outright cash discounts. Alternatively, they also have the option to get accessories originally from Isuzu in the amounts equivalent to their discount. Another good news is that if the buyer is an existing Isuzu owner, they can get more discounts. If this is the case, they’re going to be eligible for an additional Php10, 000.00 discount on top of other existing Isuzu promos. What documents can OFWs and families of OFWs present the Isuzu Sales Executive? Once you proceed to the Isuzu dealership of your choice, you need to ensure that you have documents to prove that either you or an immediate family member is an OFW. The documents need to support the fact that you or an immediate family member is currently an OFW. Photocopy of one valid government ID (of the OFW); If you have a government ID, that would be better. If you’re looking to get the additional Php10, 000.00 OFW discount, you need to present a copy of the OR/CR of the current Isuzu vehicle that you currently own. The Isuzu Philippines Corporation (IPC) released their statement about the Isuzu Kababayan Promotion last week. According to them, this promotion will be valid until the 31st of December of this year. After this, no announcements were made about whether or not another promotion will be available but, of course, we just have to wait. 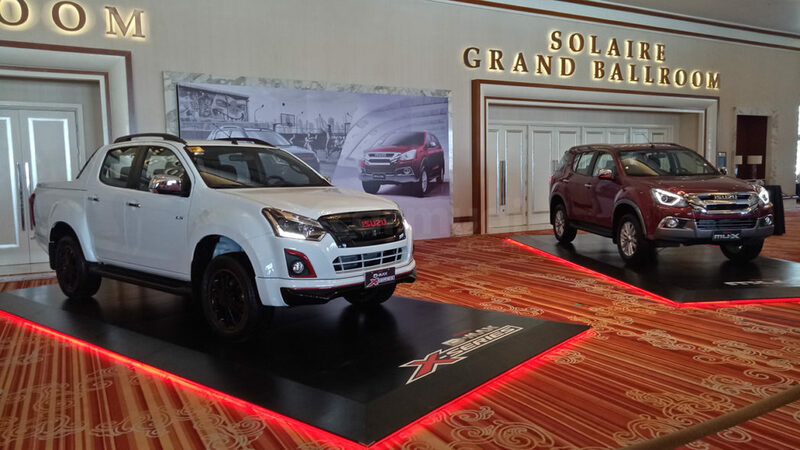 NOTE: This promotion is only if you’re going to buy either the Isuzu D-MAX or the Isuzu Mu-X. This does not apply to other vehicles so kindly be aware that this OFW discount is only for the vehicles listed. The act of the IPC settling this type of promotion, it’s one way of supporting our OFWs in their hardships that they have to travel thousands of miles to support their families. Moreover, it’s the company’s way of showing their appreciation and support to both OFWs and their families who have given their trust to the Isuzu brand and the Isuzu company. Are you an OFW or do you have an immediate family member who is currently working abroad? Are you working abroad and do you have an existing Isuzu vehicle? Good news for you because the Isuzu Philippines Corporation is having a deal, special for our very own Overseas Filipino Workers. For a number of years now, many OFWs choose Isuzu and this time, Isuzu is giving back their loyalty and for the trust that these OFWs have provided them.